At Apollo Cleaning Services we operate a stringent Quality Policy Management System that is tailored to each of our clients. As part of maintaining the strict standards of ISO 9001 we carry out weekly and monthly inspections across all of our sites, which are recorded and integrated into our documented quality procedures, in conjunction with our e-audit system. This e-system allows us to provide for continuous improvement and ensures our high level of services is consistent throughout. Our systems are externally audited annually. At Apollo Cleaning Services Health and Safety is at the forefront of what we do. In order to protect our employees, clients and the general public we have a strict code of conduct that adheres to Health & Safety policies. Our SAFEcontractor, CHAS accreditations and external Health and Safety Consultants ensure that we are continually up to date with the latest Health and Safety regulations and procedures and we maintain a comprehensive register of method statements and risk assessments to cover all aspects of the services we provide. Furthermore, every product we use is supported by COSHH manufacturer data sheets and company COSHH assessment forms. From the first day of employment, through induction, handbooks and pictograms our emplyees are made fully aware of the importance of Health and Safety within Apollo Cleaning Services and the role it plays in regards to themselves and to the client. As well as our commitment to the quality standard 9001 all our management team are trained in the use of the latest technology specific to our industry. They are all issued with Apple iPads linked to Cleanlink bespoke software, which allows them to conduct real time audits with instant customer feedback against an individually site assessed standard. The scoring is a simple to use traffic light system; red, amber, green, thus ensuring that all sites are cleaned to the highest of standards at all times. They also have access to all site specific information including employee details and working times. We recognise our responsibility as a service organisation to protect the environment by considering the long and short-term effects of our business in relation to the environment. 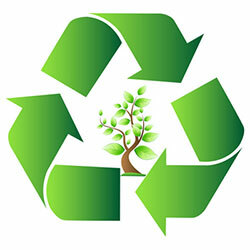 We ensure that all current environmental regulations are adhered to and have implemented several policies to minimise our environmental impact. These include; an Integrated Safety and Environmental Management System (SEMS), environmental performance objectives and targets, environmental supply chain management and a partnership programme of sustainable development with subcontractors. At Apollo Cleaning Services we recognise just how important it is to have a legal, reliable and vetted workforce. All our operatives wear individually sequentially serial numbered identification passes and logo uniforms. Our experience in working alongside secure government contracts has meant we have developed a fifteen point Police and Home Office approved strict vetting and pre-employment qualification system. We are able to offer a fully documented company vetting procedures and DBS/CTC where required for contracts with high security. As a member of the British Institute of Cleaning Science (BICS) at Apollo Cleaning Services we follow a strict code of conduct when it comes to the training and the education of all employees. This is achieved through the use of handbooks, pictograms and multi-lingual documents combined with practical training and testing. All individual training records are kept and our staff receive task and site specific refresher training annually. We have two fully accredited in house BICS assessors and use an in-house cascade training system. Our ISO 18001, SAFEcontractor & CHAS accreditations and external Health and Safety Consultants ensure that we are continually up to date with the latest Health and Safety regulations and procedures and we maintain a comprehensive register of method statements and risk assessments to cover all aspects of the services we provide. Furthermore, every product we use is supported by COSHH manufacturer data sheets and company COSHH assessment forms. From the first day of employment, through induction, handbooks and pictograms our employees are made fully aware of the importance of Health and Safety within Apollo Cleaning Services and the role it plays in regards to themselves and to the client. Apollo Cleaning Services ensures and maintains that no gender-based decisions are made on pay rates. Our employees all have the same opportunities irrespective of whether they are male or female. Apollo has an open recruitment policy, whereby vacancies are available to both male and female workers. All vacancies and roles are advertised at a rate set in agreement with our clients and is the same irrespective of gender. As far as possible we try to encourage the UK Living Wage and London Living Wage, but as a minimum the pay rate is set at the National Living Wage. We do not pay a bonus to any worker. 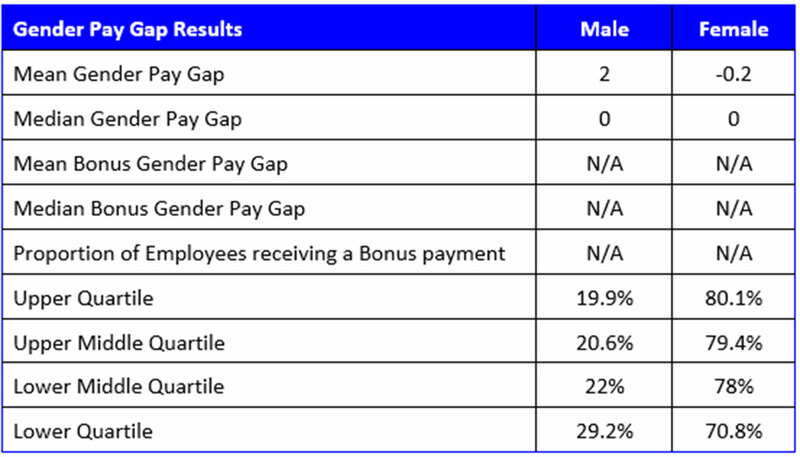 Our industry is traditionally female dominated, hence the differential shown in the pay quartiles. As such our gender pay gap is very minor and there is no need at the current time for any change or action to be taken. This Gender Pay Gap Report has been compiled by our Managing Director.